For just under the next two days (a countdown is a show on the site) Double Fine’s cult classic platformer will be free on the Humble Bundle store. 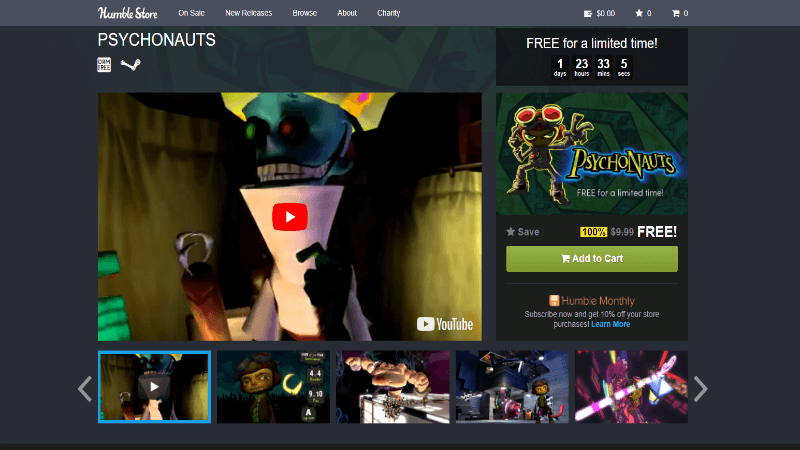 The only things required to purchase (for $0.00) Psychonauts will be a valid email to create an account on the site, as well as a Steam account, as the game will only be available for Linux, Mac, and Windows. For those who have never played Tim Schafer and company’s ridiculous romp, it follows the story of a young psychic named Razputin. Follow his quest to join the elite group of international psychic secret agents, known as the Psychonauts. What starts out as a Psychic Summer camp at Whispering Rock will soon turn into a mysterious adventure, as an unknown antagonist has kidnapped Raz’s fellow campers, stealing their brains. The only way to get them back and defeat the villain will be by honing the psychic powers he came to learn, using Telekinesis, Levitation, and other unique powers to uncover hidden memories, sort emotional baggage, and explore the fantastic realm of the inner mind. Having played the platformer somewhat recently (at the recommendation of Funhaus’ James Willems) I can say that it has aged surprisingly well. 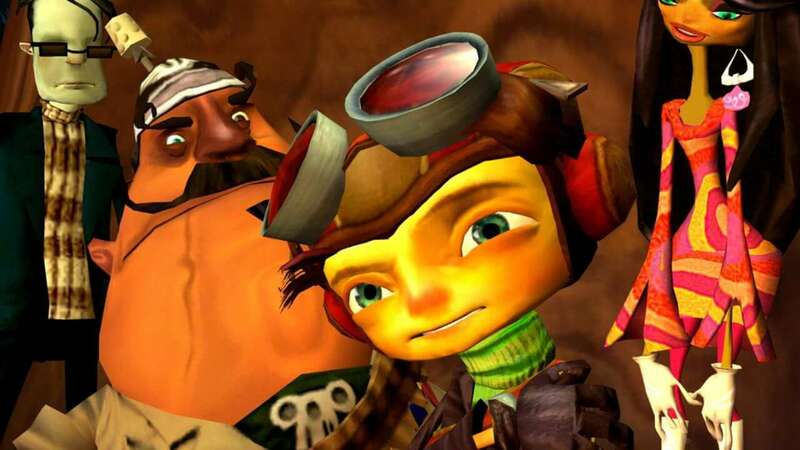 Alongside its fun story, Psychonauts puzzles and platforming hold up tremendously for a 2005 release, even when compared to some of the current generation releases. There has been no better time to hop into the world of Psychonauts either, as a sequel will be on the horizon thanks to a lot of patients from fans over the years and a successful Kickstarter campaign. The second installment in the franchise looks to be aiming for a 2018 release, so you have plenty of time to find all the figments and mysteries hidden in the games mental worlds. Who’s Determined Enough To Collect Every Wii Game?